​Under what conditions could the United States control escalation in a conventional conflict with a nuclear-armed adversary? The possibility that a dispute between the U.S. and a nuclear-armed opponent remains a contingency policy-makers and military planners should consider. There is growing work on the pathways to nuclear escalation during a conventional conflict, but less on how these armed disputes could end. This paper will explore some of the conditions that favor successful escalation management and the conditions that could make escalation control extremely difficult. The paper also assesses possible U.S. responses to nuclear use by an adversary. 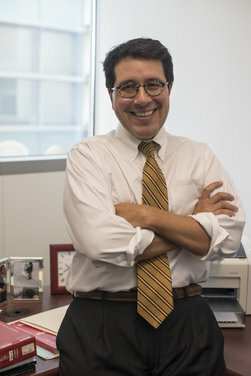 ​Jasen J. Castillo is an Associate Professor at Texas A&M University's George H.W. Bush School of Government and Public Service. He came to the Bush School after serving on the staff of the Policy Planning Office in the U.S. Department of Defense. Before then, he worked at the RAND Corporation and the Institute for Defense Analysis. He holds a Ph.D. in political science from the University of Chicago.